Here is a few samples from some of the artists in the Sky High Audio Production Catalog. These tracks consist of rough mixes, unfinished mixes, live recordings, finished tracks & sample cuts. Please note the sound quality of some of these tracks are below standards due to mp3 quality & unfinished mixes. 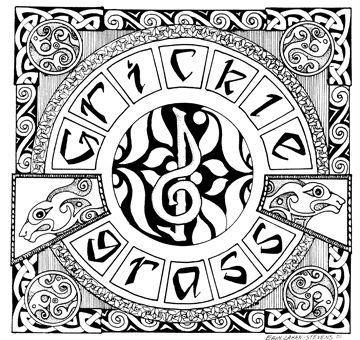 Most are complete songs and are downloadable for FREE. At the bottom of the list is some current music remixes from DJ SkyHigh. Produced by Tommy Deluca & SkyHigh. 3 years of Open Mic, produced 13 cds, many great recordings & jams. Check out the Open Mic Page for more than 75 downloadable MP3s from some of Winchester's local artists. and No Drama. He has five CDs in the catalog. Winchester and landed in Chicago. Developed & produced by JMoney. She has a 4 song demo available. The man that could play 20 songs in 20 minutes in the same chord progression. A stable member of the Open Mic Series. Doug has a dedication album put together from his live performances. Graduating from Law School in Memphis. Travis Butler has become a name in the city's music scene with his new group. He composed a 3 song demo before departing the label. Alone or with a group. Acoustic or Electric. Jay Powell Rocks! He has and still performs with many artists and solo shows. Founder of Go Smack Alice, his new band Barcode currently performs weekly. A Front Royal,VA native. This songstress has compiled quite a catalog of original songs. She has played in the bands Wildcard & Lil Sister. She has performed with Blues Fuze & the Southern Rock Allstars. Steele has an acoustic live cd available. For over twenty years, the three guys have been core members of the group Rampage. With the introduction of Jennifer Steele. The band has taken on a new route and sound. From the classic hits of rock and the modern day masterpieces filling the airways to the sultry originals of Steele and the rest of the band. A band of guys that love what they do and makes damn sure the audience get their money's worth! A hard rock/metal act with a crushing but melodic style, able to entertain anyone of any age. A colaboration of the brother combination J-Money & CL. Other members include Mark Swinga, Elem Mason, C-Rock, Abdulla da Butcher, and a host of Northern Va Rappers setting in on many tracks. They have 2 cds and numerous tracks available. Leader of the Skreen and the hottest beat creator north of Timberland. J-Money has 2 cds, numerous colaborating tracks & hundreds of beats ready for the next new artist. Currently a top DJ in the WV club circuit. Brother to producer J-Money and member of the Smokeskreen. CL has colaborated with Angela & Deluca among many others. 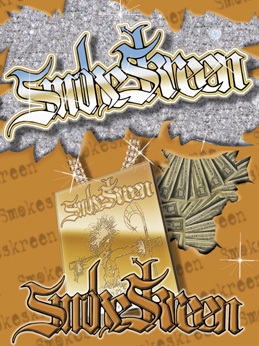 Check out sample tracks also under Smokeskreen. He is currently on a state paid vacation for a very long time. A member of the Skreen gang. Swinga has recorded tracks with all members of the Skreen and has a complete album available. He currently resides in Texas. The man that has more aliases than years alive. Phuck Nutty has recorded many tracks throughout the land. A member of the Skreen, he has colaborated with his brother C-Rock and other family members on his debut album. Brother of Elem and member of the Skreen. C-Rock has and family members head of the Mason Mob. A graduate of Snenandoah University Angela was our first female recording artist. She appears on tracks with SmokeSkreen, CL & Tommy Deluca, who co-wrote the 3 song demo with her. The labels first country act. Biddle penned his country hits with Tommy Deluca and Terry Oats. He had a 5 song demo recorded before jumping ship and heading for Minnesota. A stable at our Open Mic series. Robert Ramphey currently records and plays at local open mics. He has numerous tracks available in the Open Mic Series. One of the greatest groups ever in Winchester, VA. Fronted by the White Brothers, Jeff Garber on guitar and Perry Glass (PG4 & Laugerhead) on drums. The band played for numerous years in the area. Head of the Sky High Empire. Fleming started the label and recording studio with his first act Smokeskreen. Within 5 years Sky High was the biggest label and recording studio in Northern Virginia. SkyHigh is currently one of the hottest DJs in the panhandle area. He has headlined and hosted numerous summer festivals in the area. A regular in the clubs & night life. He currently performs every week at the Blue Fox.